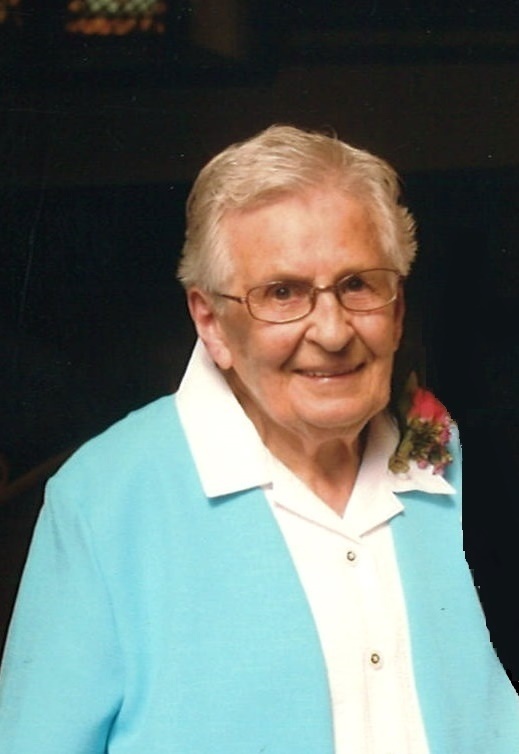 Jean I. Davis passed away peacefully at Wildwood Care Centre, St. Marys, on Saturday December 23, 2017. Beloved wife of the late Alvin Davis (2004). Loving mother of Gloria Cockwill and husband Nelson. Grandmother of Sharon Foley and husband Brent, Dianne McKay and husband Josh. Great-grandmother of Peyton Foley and Charlotte McKay all of St. Marys. Sister of Alan Brownlee of Mitchell. Aunt of Douglas Brownlee, Kevin Brownlee, and Myrna Ingalls (David). Predeceased by her parents Cecil and Florence (Guy) Brownlee, brother Alfred Brownlee, sister-in-law Hilda Brownlee, brother-in-law Robert Davis and his wife Mildred. A Private family service has taken place with spring burial in Woodland Cemetery, Mitchell. Memorial donations may be made to a charity of one’s choice.